See the bases are different ….. 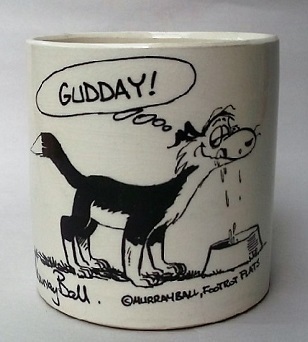 Autumn Splendor and a colour glaze have “straight sloped sides"
There is 741/10 shape ( E/W?) and vitrified version 8621 all relate to 8013 according to the notes. So which is which? 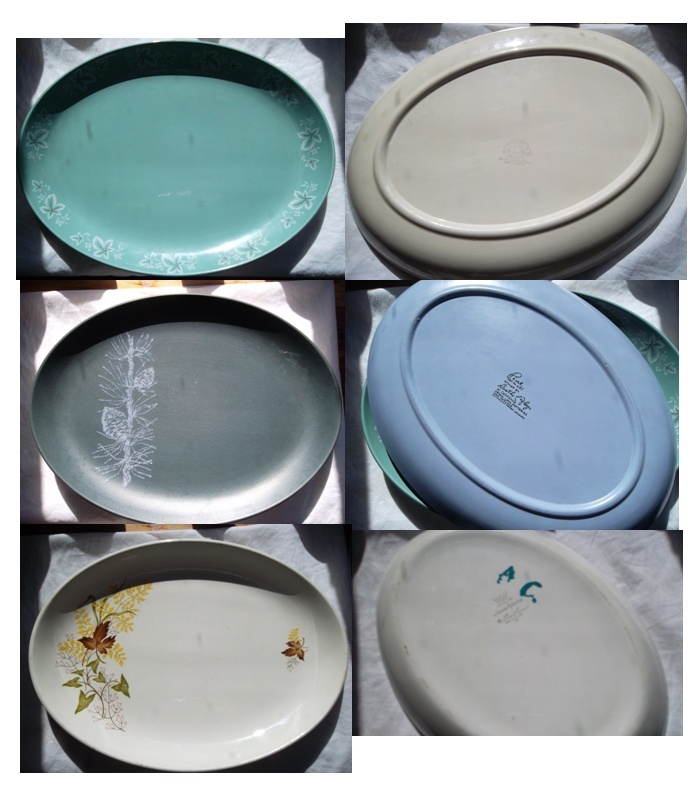 So far all of the Dorothy Thorpe range have had different shapes to any others and their own number. 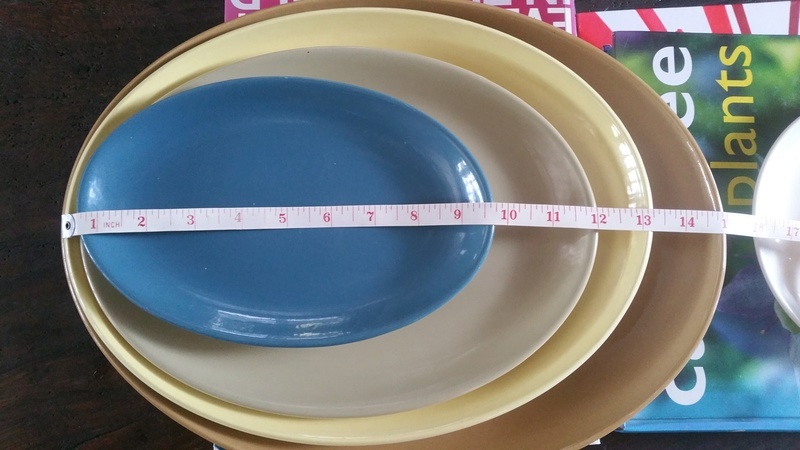 4015 USA Shallow Oval Dish is from that range and even though it doesn't have measurements it could be the Pine oval. Are there any other ovals that belong to that range? Does your plate compare for size to this one Janice? 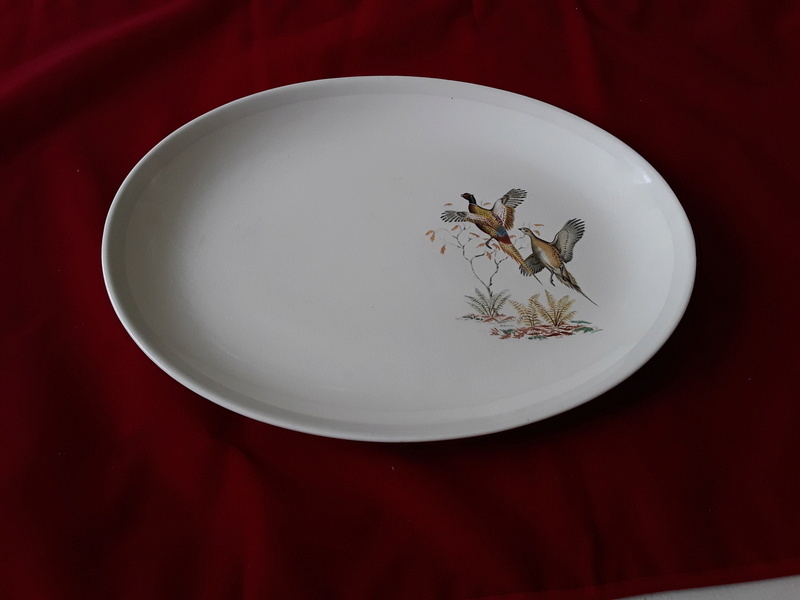 old TM listing " A rather rare Dorothy Thorpe oval steak plate measuring 235mm long x 155mm wide, in the Pine pattern. One small knife mark,otherwise in super condition. Have not seen this size before in an oval." Ok, so we have to wait for more info to get to the bottom of the Dot Thorpe ovals !! I am sure the bigger ovals are 13 inch... today I bought one it's massive.. 15 inch . I have never seen an oval so big. When I get a chance I'm going to check the sizes with the shape numbers. It has no backstamps or markings , it's mustard/bronze in colour and has the distintive ridge line around the foot of the plate. But you can see the largest one is 15 inch I can't see any shape number for that size. 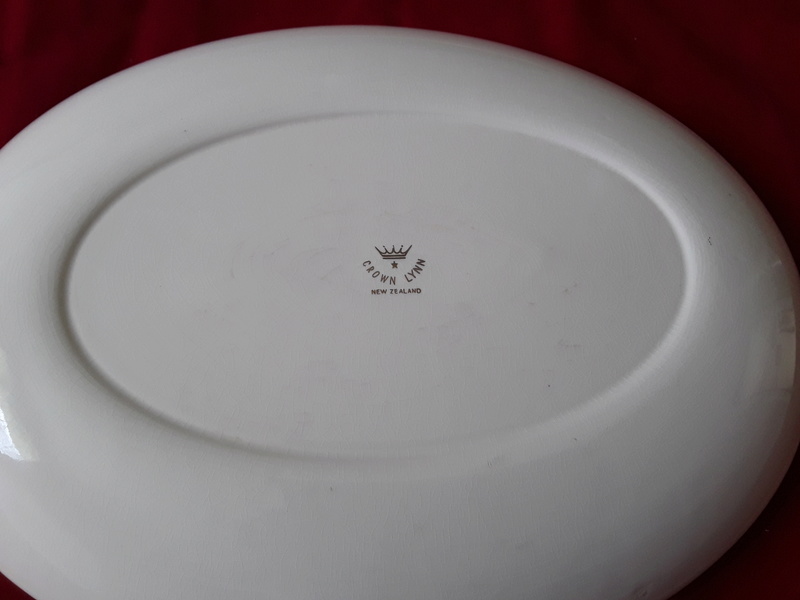 Here is a 15 inch Crown Lynn oval plate with a transfer decoration.